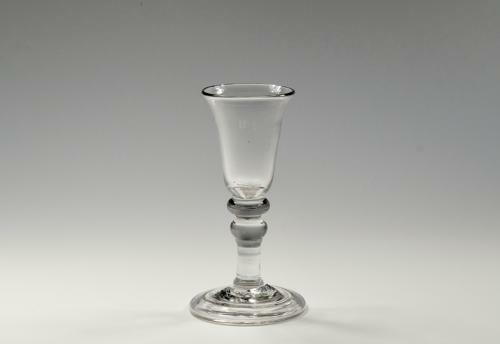 Balustroid gin glass with bell bowl, double shoulder knop and conical folded foot. English C1740/50. Condition Very good with no chips, cracks or evidence of restoration.